Ferrari 250 GTO Berlinetta ‘Omologato’. 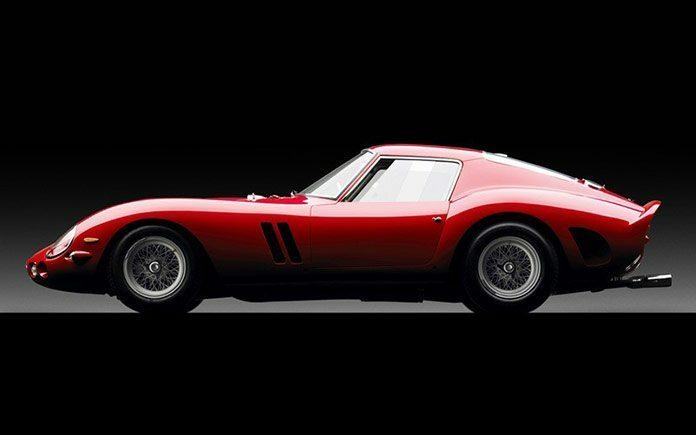 This 1962 Ferrari 250 GTO Berlinetta has become the most valuable car in history to be sold at auction on 14 Aug 2014, when it fetched $38,115,000 (£22,843,633 or €30,397,160) at Bonhams’ Quail Lodge Auction in California. The GTO was developed to contest the 1962 3-litre class FIA GT World Championship series of classical endurance racing events. Selective production at Maranello and in the Scaglietti body plant in Modena ran on through the 1963 FIA GT World Championship and – sure enough – the Ferrari 250 GTO won the World title both seasons in succession. Overall, the Ferrari factory manufactured 39 cars which may be considered within the rarefied ‘GTO’ family. Four of the core group of 35 cars with 1962-63 style bodywork were later converted into lower, flatter, longer-nosed GTO/64 body form. So 31 of the 250GTO/62-63 series have survived, of which only 28 cars have the 3-litre V12 engine as true ‘250’GTOs, and three 4-litre V12 engines as ‘330’GTOs. The GTO has further impressive results to its name, including victory in the 12 hours of Sebring, the Targa-Florio, the 1000 km of Spa-Francorchamps, and Le Mans. 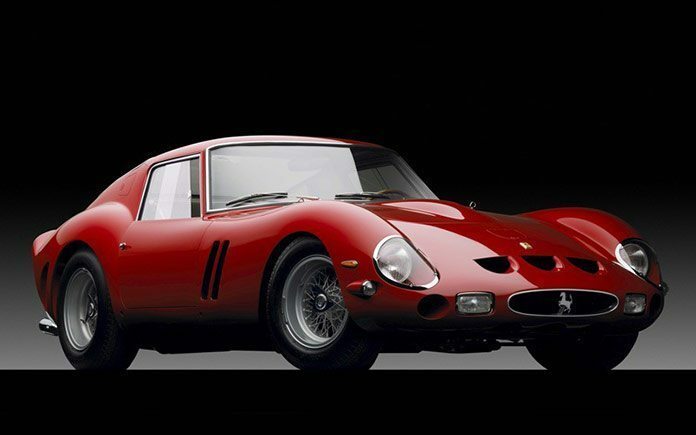 In its heyday, the GTO could reach speeds of up to 280 km/hr, thanks to its 300 HP and flawless aerodynamics. These rare automobiles were very successful in the 1962 and 1963 races, winning the GT Championship. However, the old record is under threat once again as another 1962 Ferrari 250 GTO is listed on sale in Germany (November 2014) for €55,555,000. You can buy it on the website Mobile.de. Luxurious enough? The next one will be even more expensive.